These meetings were hosted by DECISIO. 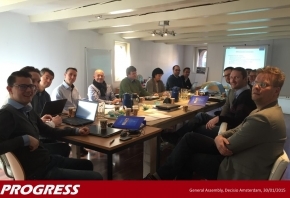 The General Assembly meeting on 28th and 30th January 2015 was to report, track and organise the work in and between work packages. On the 29th the expert workshop was held with invited external experts to make a further step in the assessment of the societal, economic and cross-sectoral effects of GNSS malfunctioning in the EU.